Mary Mina Irving was born in Boston, Massachusetts on August 12, 1934. She was the first child of Russell F. and Rose J. Ago Irving. Mary was baptized at the Church of St. Ignatius in Chestnut Hill. Her brother, Russell, was born two years later. Mary graduated from Mission High School in June 1952. Her earlier decision had now “crystallized into a determination to enter immediately after high school.” On August 28, 1952, Mary received the bonnet in the SSND convent chapel in Roxbury. Mary was a student at the College of Notre Dame of Maryland (now University) for the two years of candidature. She entered the novitiate and was given the name Sister Mary Jane Valois on July 10, 1954. Sister pronounced her first vows on July 30, 1955. Sister Mary Jane Valois’ first mission was St. Matthew School in Baltimore, where she taught fourth and seventh grades (1955-60). She taught freshmen classes at Notre Dame Preparatory School (1960-68) and high school students at St. John Religious Education Center, Columbia, Md. (1968-73). Mary graduated from the College of Notre Dame of Maryland in 1960 with a Bachelor of Arts in Latin and French and a Master of Arts in French in 1968 from Assumption College, Worcester, Mass. She received a Master of Pastoral Theology in Spirituality from Weston College School of Theology in 1975. Mary also earned a Doctor of Ministry in Religious Studies from the Catholic University of America in 1994. Mary was involved in spiritual direction and retreat work throughout her years of ministry. 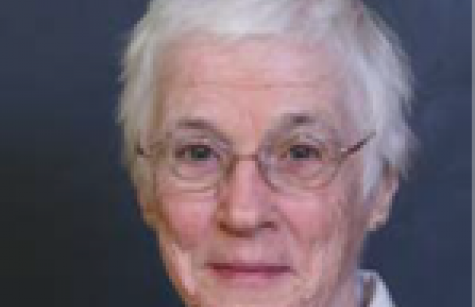 She was a lecturer and adjunct faculty member at a number of universities including St. Mary Seminary and University, Baltimore; Creighton University, Omaha, Neb. and Washington Theological Union, Silver Spring, Md. She was part of Women in Seminary Education, who identified, supported and set direction for the future growth of women involved in seminary work. Mary was an activist who spoke out for Catholic feminist theologians. She lobbied for full rights for women in the Church. She received the 1986 National Women’s Ordination Conference award as a prophetic figure who contributed to the enablement of women. Mary had a deep concern for social justice. She was part of the task force on the homeless for the Council of Women Religious in Washington, D.C. Mary, the proper Bostonian woman, took a public stand with a group of sisters to protest at the White House for the homeless poor in Washington and ended up overnight in jail. She based her decision on the words of Daniel Berrigan, “You don’t walk away from evil. You have to keep pushing it backward by your action.” The harrowing experience gave Mary a powerful sense of peace and community. In her later years, Mary maintained a private practice in spiritual direction and facilitation. She was devoted to ministry to women. As the Membership Coordinator for SSND Associates from 1997-2002, she encouraged Associates to “own” their program. Mary retired to prayer and presence in 2014. Mary was a woman of integrity with an inquisitive mind and searching soul. She was a topnotch theologian. With faith and courage, she had the ability to inspire and empower others. She gave generously of her time, talent and energy. One of Mary’s many talents was her musical ability. She had a beautiful voice and played piano. She participated in the Chorus of the Washington National Cathedral and was a choir member at Baltimore Carmel. She also had a talent for friendship. Her love and care for her friend, Sister Joan Hart, revealed her incredible compassion. She and her walking partner, Sister Robin of Carmel, walked in all weather, expanding their horizons. Mary made a difference wherever she was in community, gracious and always interested. Mary knew she was very ill and embraced the fact that she would not get better, but she didn’t let illness weigh her down. She lived life to the very end, and there was a gentleness in her death. Mary quietly slipped away on March 11, 2019, two hours after her return to Villa Assumpta from a short hospital stay. The Christian Wake service was held on March 25. A Liturgy of Christian Burial was celebrated in the chapel of Villa Assumpta on Tuesday, March 26 with friend, Rev. Joseph Muth as celebrant. Interment followed at Villa Maria Cemetery, Glen Arm Rd., Glen Arm Md. Mary is survived by her niece, Rosemary Colvin; cousin, Nancy J. Ago and friends.